Trading In Your Car? Here Are 3 Terms You Need To Know! When you're in the market for a new car, it can be tempting to buy a vehicle that's brand new. Those cars are shiny and perfect with that new car smell everyone wants. You may think that driving one around town will show everyone how successful you are. But before you drive that car off the lot, be sure you've given the purchase a lot of thought. There's a lot of reasons on why buying a new car isn't as glamorous as it sounds. Buying a new car might seem like an exciting purchase, but there are a plethora of reasons that make a used car a much better investment. One primary reason is the depreciation the car undergoes the moment it is driven away from the dealership, according to Autoblog. "The big cost is that hit the minute you drive off the lot," Jake Fisher, an automotive test engineer for Consumer Reports, told Autoblog. While the depreciation has a specific beginning, there isn't a finite end to the process of lost value. According to TrustedChoice, an insurance provider, a car will continue to depreciate rapidly over the first few years you own it. After just one year, the car will be worth 25 percent less than what you paid for it, and after five years, the car may have lost 63 percent of its value. Tweet: "New cars depreciate rapidly over the first few years you own it." When you buy a new car, whether it's brand new or just new to you, you'll probably need an auto loan to help with the financing. LearnVest pointed out that it's best to choose a car you can pay a good amount for upfront. The more you pay in cash, the shorter your loan term will need to be, and the less money you'll pay in interest. When you buy a used car, chances are you'll be able to get more car for your money, or pay for a bigger portion of the car upfront. That means you'll pay less over time. Plus, if you are a younger buyer or someone who has little or poor credit history, you may not be eligible for the best rates around. If you are stuck with a long-term loan with a high-interest rate, you will be paying much more than the sticker price. Interest rates aren't the only thing working against new car buyers. Insurance rates will also be higher. According to Esurance, the make and model of your car play a role in how much insurance will cost. In the case of comprehensive and collision coverage, people who own cars that are worth less will pay less. Basically, LearnVest explained, the more valuable your car is, the more expensive insurance will be. Some people point out that new cars get the factory warranty, which is nice to have when something goes wrong in the first few years. However, Jalopnik explained that the warranty will typically expire long before your loan does. The typical car warranty will last 3 years. The average auto loan, on the other hand, lasts 5. This means that for 2 years, you'll be writing those car payment checks every month with no warranty to help in the event that something goes wrong. Plenty of people have come up with many reasons to buy a new car instead of a used one. But the truth is, used cars have a lot going for them. Many of them are reliable. Consumer Reports pointed out that many of today's cars can last a lot longer than you'd think. While past generations celebrated the 100,000 mile mark and never dreamed to double it, your car may be able to do just that with the right care. So if you find a used car with 80,000 miles on it, you don't necessarily need to pass it by. There could still be plenty of good miles left on it. Plus, with the interconnected nature of today's world, you can likely find a lot about the car you will purchase. It's important to do your own research and use reliable sources like Edmunds.com or Consumer Reports. These will tell you about the make and model of the car in the year it was manufactured. Plus, DMV.org explained you can usually find some information about a particular car's history. When making a used car purchase, take advantage of these tools to make sure you're making a smart, sound purchase. 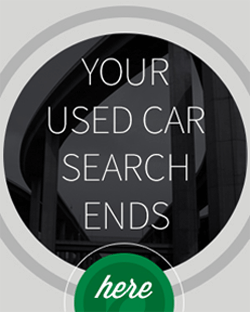 You'll be able to rest easy knowing your car is safe, and you saved money by buying used. How long does the process usually take (hours) to purchase a car at your dealership. Thank you for reaching out to us and taking interest in DriveTime. 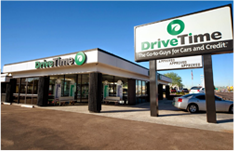 In regards to your question, time spent at our dealership varies from customer to customer. However, I want to assure you we strive to provide a quick and stream-lined car buying process for all of our valued customers. We certainly do not want any of our customers to feel rushed and we want to ensure each customers experience is personalized. Our primary goal is to ensure you leave the dealership feeling informed and confident in your vehicle purchase and in order to do this, we take the time to address any and all questions or concerns each customer may have. We appreciate reaching out to us, if you have any additional questions regarding the sales process, please feel free to contact our corporate sales team at (800) 965-8042.